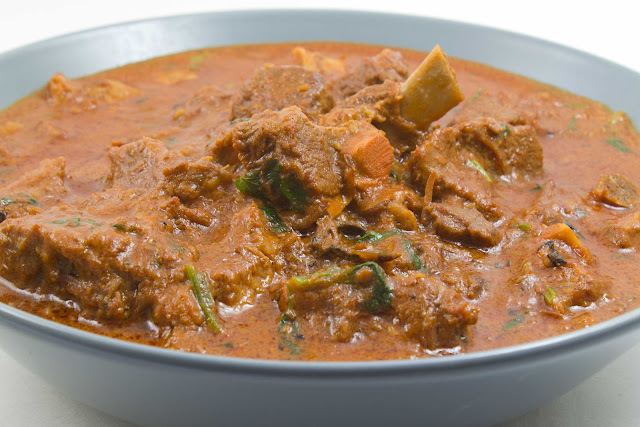 Rogan josh (lamb curry/mutton curry/roghan josh) is an aromatic lamb dish from the beautiful valley of Kashmir in India. This recipe comes from the Hindu Brahmin community or pundits of Kashmir though there is a definite Mughal influence in the Kashmiri cuisine. Rogan Josh is a red colored dish. This color and a gentle heat is contributed by the addition of Kashmiri chili powder and sweet paprika. This curry is different from all others as it has none of the herbs and spices you associate with Indian curries-- onion, fresh ginger, garlic, cumin, coriander, turmeric. 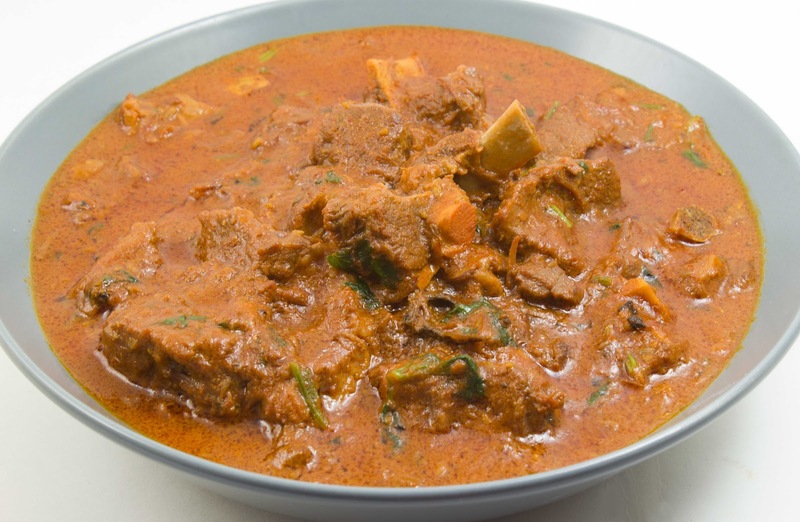 Lamb is braised in yogurt and loads of aromatic spices. The bold flavors and aroma are imparted by fennel, ginger powder, black cardamom and asefotida. You will enjoy this one for its subtlety and complexity of flavor and undoubtedly aroma. Serve with naan or saffron rice and a green vegetable. Season the lamb with salt and keep aside while you get the other ingredients ready. In a pressure cooker heat oil and add cloves, cinnamon, cardamom and bay leaves. Roast for 30 seconds and add the asafoetida and seasoned lamb. Cook on high for about 5-7 minutes till most of the lamb pieces are brown and have acquired some flavor from the whole spices. Add the chili powders and mix well so that the lamb gets a distinct red color. Add yogurt and cook the lamb for about 10-12 minutes on medium high heat. Stir frequently to prevent the contents from burning. As most of the liquid evaporates and you see the oil separating from the side of the lamb add the ginger and fennel powder. Mix well and add water. Adjust seasoning. Pressure cook for on high till the whistle indicator and then simmer for 15 minutes. Alternately if not using pressure cooker, add 2 cup of water instead of 1 and bring to boil, simmer covered for about an hour. Check in between if more water is required. Lamb is cooked if a fork pierces it easily without resistance. Add the saffron and garam masala and make sure the sauce is thick and silky. Adjust consistency by boiling off excess liquid. Serve hot, garnished with chopped fresh coriander.